ALISHA VALERIE: Betty Crocker's Baking Treats! I was contacted by the awesome team at Betty Crocker and was asked if I wanted to take part in some Halloween baking and since I love Halloween and I love baking, of course I said yes! Who loves baking their own treats at Halloween and autumn time? I know I do! This isn't exactly Halloween themed but I do love baking more about the Halloween time so wanted to share this with you for that. I'm going to share with you all one of THE BEST products to buy if you fancy baking some cookies, and like me you aren't very good at baking. 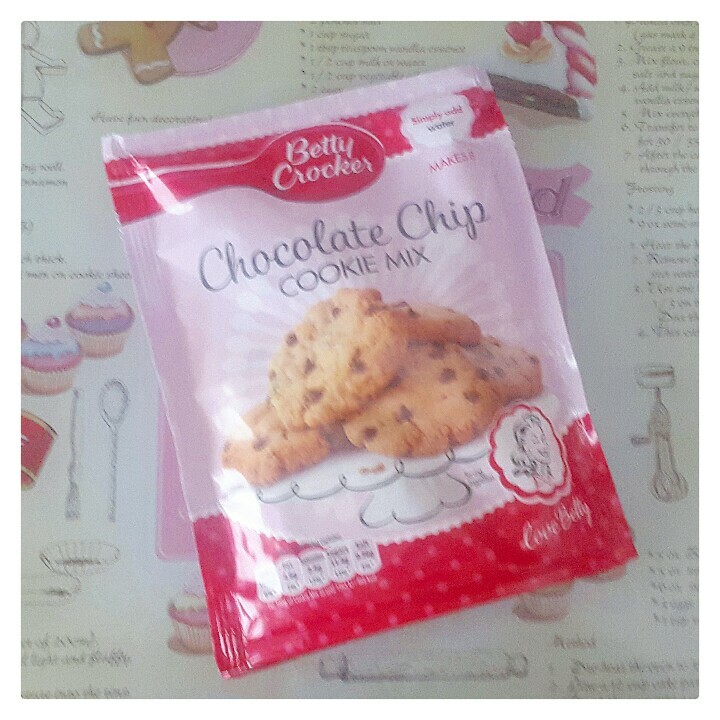 Betty Crocker's Chocolate Chip Cookie Mix* makes soft crumbly cookies with a tempting chocolatey taste. The awesome thing about this pouch of cookie mixture is that everything is already pre-mixed for you and all you need to do is add water and they only takes ten minutes to bake - how simple is that?! 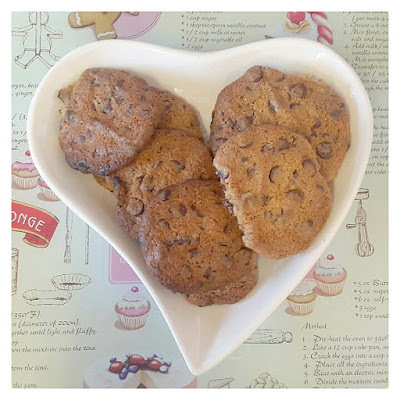 Treat yourself with the tempting chocolatey taste and soft crumbliness of these choc chip cookies. Within minutes, you'll be in cookie heaven. Here's mine when I used Betty Crocker's Chocolate Chip Cookie Mix*, I added extra chocolate chips into my cookie mix to make it extra chocolatey! I'm pretty happy with them and really think they turned out okay! What do you think? Please tweet me any pictures of your baking which you make over the autumn/Halloween time for me to check out and I'll retweet them all! Oh my... these cookies look so delicious!! Yummmm! These look sooo good! 😍😍 I love cookie dough, so hard not to eat it all before it goes in the oven!